The Big Game is right around the corner! Can you believe it? The year literally just started and it's already off to a great start. American football always seems to bring lots of people together not only to watch the game, but to eat great food and yummy snacks. 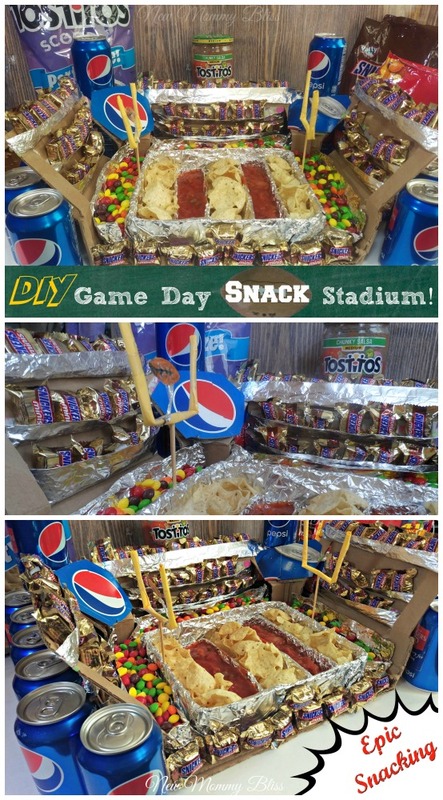 Why not make Game Day snacking fun for your whole team? 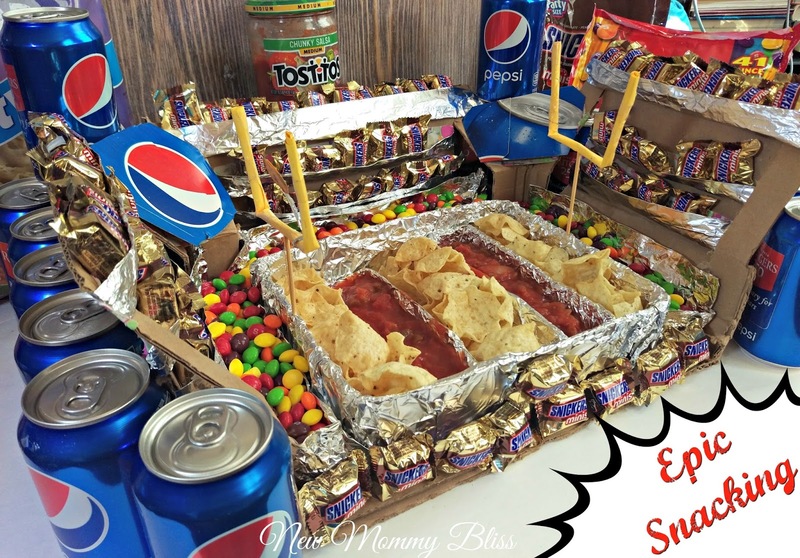 Here's a really awesome and incredibly delicious tutorial to help you create your very own super awesome Snack Stadium. Don't have time to read through? 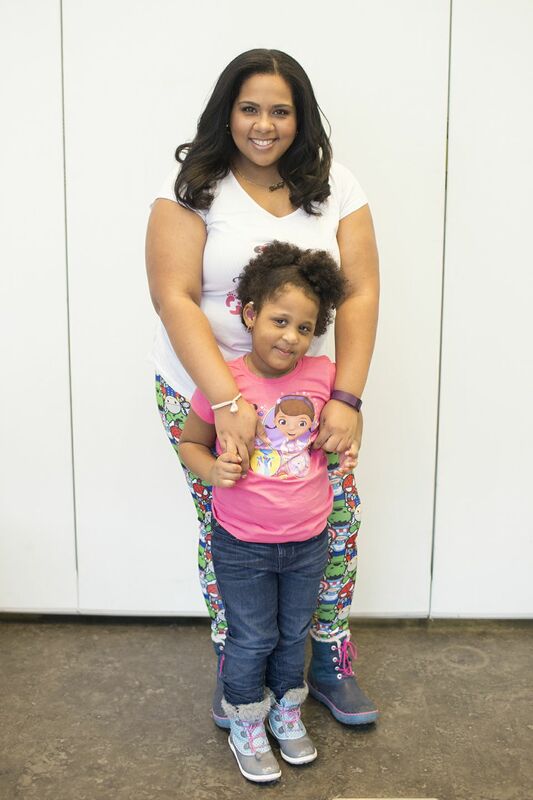 You can Scroll down and Pin it for later! 1) Form your boxes so that only the bottom is Sealed. Cut out one of the Long sides of the Big box, complete with its Top flap. cut off Top Flaps of the Small box. 2) On the Big Box: Make 2 slits (1 inch in from left, 1in from right) 1 inch from the top Flap to 1 inch from the Bottom. Do This with all sides for a total of 6 slits. 3) Fan Out the Flaps of the Big box using tape so that it is like a Ramp. 4) Now we have to cut out pieces of aluminum foil. They should be about 3 inches by whatever the length of your stripped section is +2inches. Do this 3 Times for each side. Fold in Half (Horizontally ) and Place a Long strip of tape on the Open Edge. 5) Tape the Piece of Aluminum foil on to the top of the Flap (the aluminum should be facing down). Now fold the Aluminum up to form a Pocket. Repeat 3 times on each side leaving about an inch or less in between each pocket. 6) Small Box: grab a big piece of aluminum foil and cover the inside of the small box making sure that there is enough aluminum foil to also cover the outside. It should become almost like a rectangular "bowl". Now Tape it down to the Middle of Big Box. 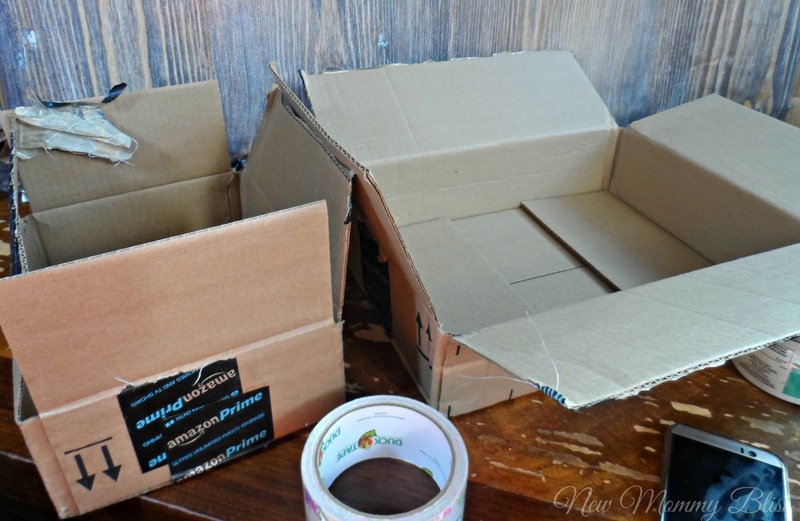 7) Now create foil "bowls" to go between the Small Box and the Big box. Mostly Rectangular in shape with High sides to keep snack in. 8) Use cut out pieces to make two small Rectangle "bowls" and Cover with Foil. Your Salsa will go there. 9) Set It Up! I placed SNICKERS® Minis in the "Seats" and let the Skittles® roam along the outer field within the aluminum bowls. Placed the two Salsa filled Rectangles in the small box leaving space before, in between, and after for the TOSTITOS® Scoops. The Pepsi™ cans made Great stadium walls! *To cover the Ugly Visible Tapes, just cut out a Hexagon shape from the Pepsi™ box, SNICKERS®, Skittles®, or TOSTITOS® bag to get the Logo. Just like the real game, you can have "sponsors". There you have it! Took 9 steps, but it's Such an Epic Snack Stadium. 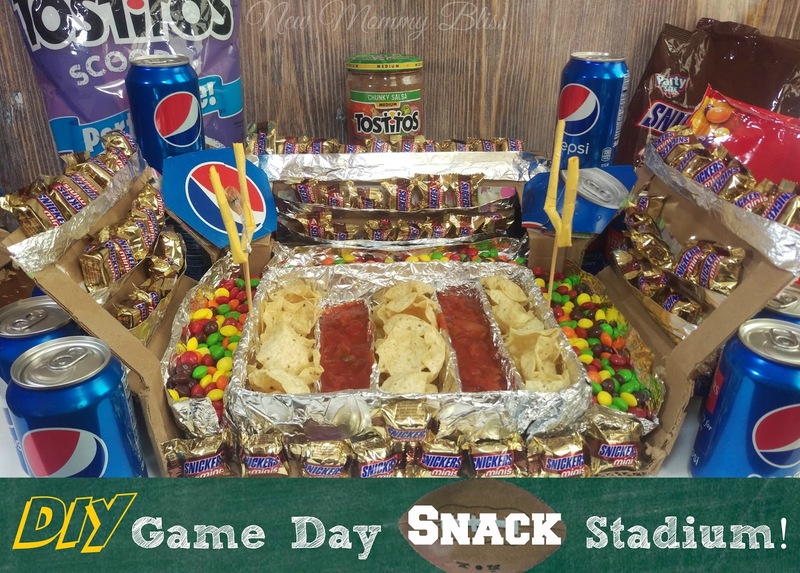 There are so many more creative Snack Stadium ideas & Game Day Recipes on the site. 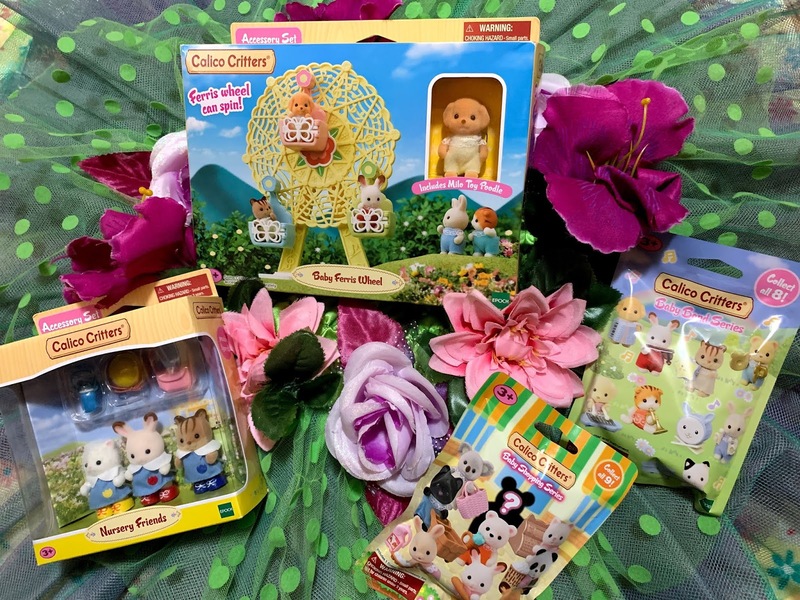 Check them out, Have fun, and Let me know what you'd have in your Snack Stadium within the comments below! Very creative. Looks like fun. I'd have chocolate and pigs in a blanket and chips and dip. love this!1 Im going to try to make it! love this! Im going to try to make it. That is such a great idea for the Superbowl coming up!! Love this! I like this. I would have beef sausage, cheese, crackers and hummus in my snack stadium. That's really great: fun and inviting. I will keep it in mind for upcoming parties.